This review is a bit different than the rest, the product is a battery case that we have seen a plenty with the iPhone 4/4S, but still have a small variety for the 5. The fun part being that this is still a Kickstarter project with a week and a half left. 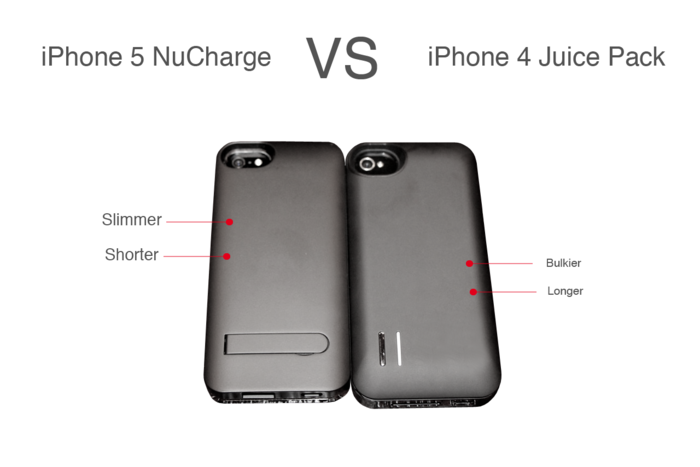 The iKit NuCharge is an interchangeable battery and case cover for the iPhone 5. The battery pack at hand holds a strong 1900 mAh battery, kickstand, button, and 4 LED light battery indicator. This is a sleek little case, I really liked how thin it was in comparison to previous battery cases in which I have reviewed. Especially how it doesn’t make the phone any longer that it already is. If the battery pack is in fact too much bulk you can slide it off and keep with you while replacing it with a slim cover. We all know I like when my case has a kickstand and the NuCharge comes equipped with a small, flush stand that snaps into place. When you need to charge your phone, you just slide the Lightning adapter into the phone and when done, unplug and back into the battery pack. There were a couple items in which I would have liked to see changed. 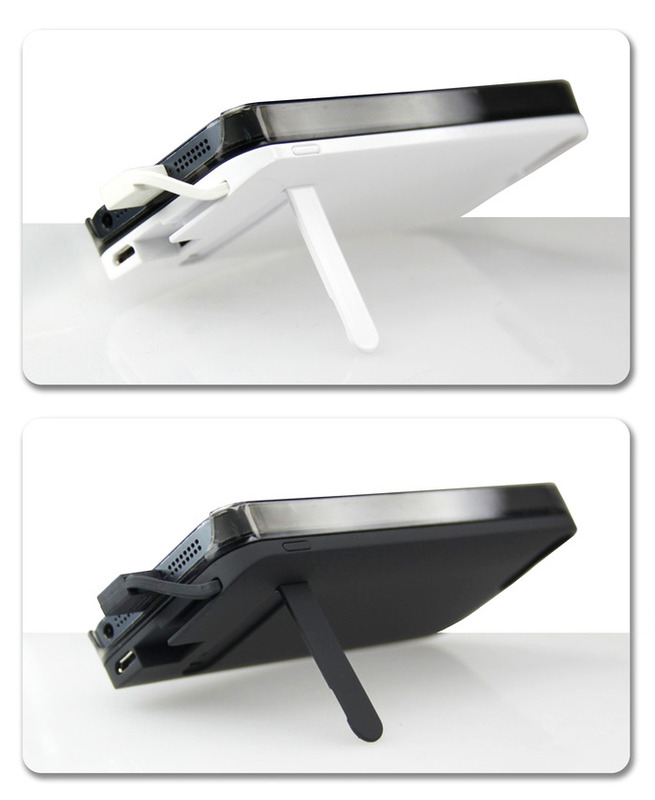 The first would be a more stable kickstand as the stand equipped feels like it could snap rather easily. According to the Kickstarter project this will be addressed with an unbreakable Aluminum reinforced stand. A small gripe is the closed loop around the volume buttons, mine hadn’t snapped yet, but is always the first to go previously reviewed cases. Lastly, it is a bit difficult to get the case and cover off. 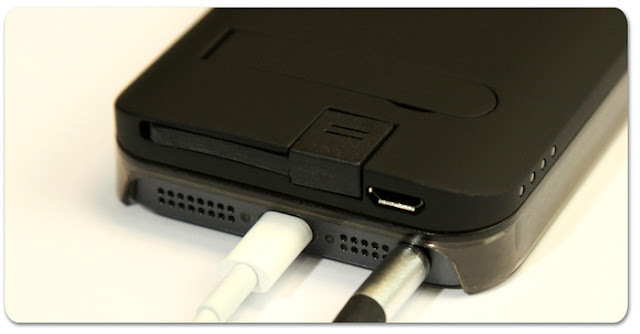 The battery pack is easier due to being thicker but the thin cover can be a tad frustrating. An exciting part of the Kickstarter is that the fifteen thousand dollar goal has been met and surpassed their goal, but there’s an additional rewards program. If the project meets eighty thousand dollars, additional color options will become available based on community feedback. While this battery case is the slimmest I have come across and does not extend the size of the phone from the top or bottom and packs a strong 1900 mAh battery pack. The NuCharge is already an iLounge recommended product and I for one am a huge fan and look forward to the options to come. Pledge now and you will receive rewards at a significant discount of what the products will later retail, likely in April. 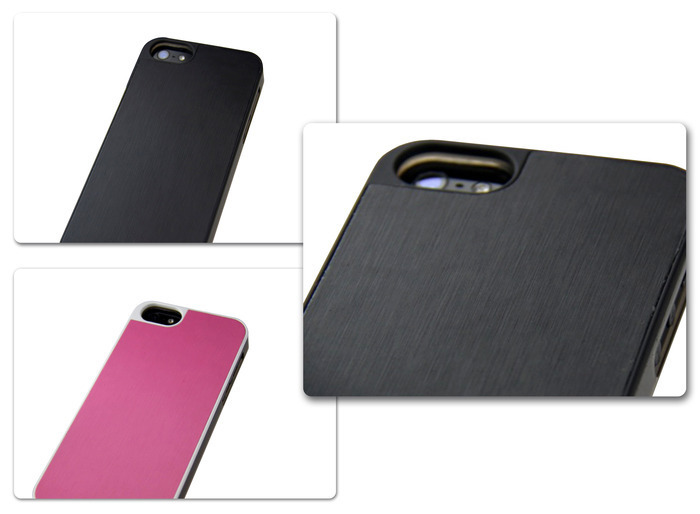 What the package includes is a plastic snap on case, usb charging cable, battery pack and interchangeable cover. The Kickstarter project can be found and pledged HERE.